Is there anything that drives you bonkers when you're reading and makes you want tell the author a thing or two? I am a qualified freelance editor, so it's an occupational hazard that whenever I read a book I spot every missed typo etc. The occasional one is fine--it happens--but if it's excessive it's distracting. The thing that bugs me most, though, is comma splicing. Seeing that, especially if frequent, makes me grind my teeth and want to throw things. Though, generally, I would blame the editors rather than the author, as they should have corrected it. My mother once told me that peace was the only way Astrea could survive. My own screams wake me and I turn, burying my face in my pillow to muffle them. The Kaiser murdered Theodosia's mother, the Fire Queen, when Theo was only six. He took Theo's country and kept her prisoner, crowning her Ash Princess and humiliating her for ten long years. That era has ended. The Kaiser thought his prisoner weak and defenseless. He didn't realize that a sharp mind is the deadliest weapon. Theo no longer wears a crown of ashes. She has taken back her rightful title, and a hostage-Prinz Soren. But her people remain enslaved under the Kaiser's rule, and now she is thousands of miles away from them and her throne. My peeve is typos and spelling errors as well. Intense 56 and intriguing beginning!! Sounds like a good read! I added you to the Linky. Happy weekend! Thanks Freda. Yes, they can really pull you out of the story. I'm debating about this one. I read the first but didn't love it. Improper usage bothers me the most. It often throws me completely out of a story. 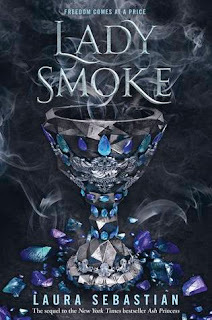 This week I am spotlighting a middle grade fantasy - The Storm Keeper's Island by Catherine Doyle - from my review stack. Happy reading! Oh, yes, that's a good one too. Unnecessary repetition is never welcome. I haven't heard much about Lady Smoke. The story seems kind of interesting. Enjoy your current read! Thanks Breana. It's the sequel to Ash Princess, which you may have seen doing the rounds last year. I've been seeing this all over the place - it sounds great. Happy reading! Beautiful cover. I hope you enjoy your weekend! 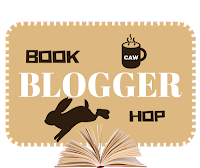 Great answer for your Book Blogger Hop! I have a strong attention to detail, so I spot typos all the time! Yes, it's good for work, but I do wish I could turn it off on occasion! Anything that is grammatical incorrect DRIVES me CRAZY!! You know, being an ESOL teacher, I should have mentioned typos and poor grammar! Lol. Well, I totally agree with you!! Such things always take me right out of a story!! It's true that some of that is due to poor editing, but there are authors who make elementary mistakes, like writing "there eyes locked on each other". Lol!!! Hope you'll enjoy them if you read them!